This page contains two Unreal Tournament 2004 voice packs. Both voice packs were created by Marcel Hartgers (aka. Javaman) and were used during a couple of LAN parties in 2004 and 2005. 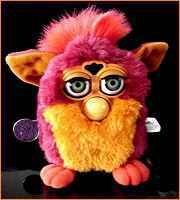 Description: Furbies are small, animated, battery-operated toys that can make all kinds of sounds. When the batteries run low, the usually normal sounds are interrupted by strange noises. Marcel Hartgers (and his large collection of almost-empty batteries) has recorded all these strange voices while trying to repress his laughter, and bundled all these recordings in this great voice pack. 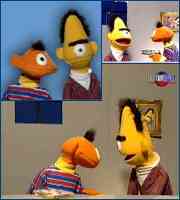 Description: Bernie und Ert was a short show for the german television network RTL+ in which Bert and Ernie look-alikes did all kinds of 18+ things. The show was stopped after one season, although Bernie und Ert have been starring in the next-season Popo Club. Marcel Hartgers, a great fan of the show, captured the best one-liners and dialogs from this serie and added them to this great voice pack.